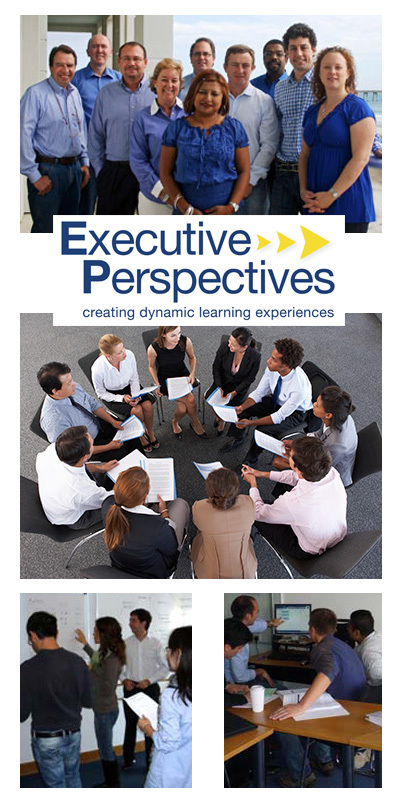 Executive Perspectives creates business simulations that improve your employees’ ability to execute your strategy. If your organization is looking for a high impact experience that will energize your employees around your strategy while helping you achieve your goals, then we suggest you explore some of our client successes and learn more about how our solutions work. Since 1983 we have partnered with our clients to prepare their leaders for the future by creating customized business simulations that allow them to explore real world business challenges in a safe leadership laboratory. "It gave me a "safe zone" in which to try something completely outside of my comfort zone and I learned a lot about myself and my abilities." "It gave me an almost real-time feel of how to manage the various departments of a company." "I did like the simulation that showed us our limit and gave us an honest idea of what we are and what we will be if we do not change." "As a newer employee my goal was to network and to learn about parts of the company I'm not typically exposed to. The class not only provided an environment for that but really opened my eyes on how to a better leader and apply the company values. I think this was especially realized in the simulation which allowed me to practice those values and learnings." "Scary initially, but absolutely enjoyable thereafter." I am more effective in my coaching sessions with individuals who are not performing well. I let them lead the discussions, determine strengths and opportunities to develop weaknesses, and then go forward with these plans." "Excellent! It provided an extraordinary insight into areas I had no experience in. The simulation depicts every issue at our company." "The NetThink [simulation program] was foundational to saving this company hundreds of millions of dollars." The simulation showed us our limit and gave us an honest idea of what we are and what we will be if we do not change. EP has over 200 simulations and helping you find the right one for your specific need is a bit more art than science. If you would like a brief 15 minute consultation on what simulations could best address your needs, click above.